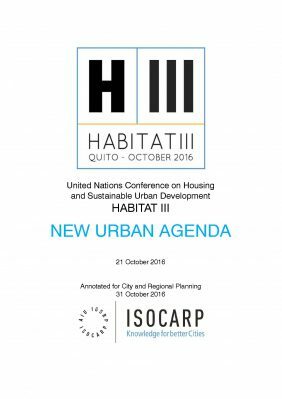 You can find here the New Urban Agenda´s annotated version for City and Regional Planners by President Ric Stephens. You can download the document (pdf) by clicking on the image. Read the statement delivered by Shipra Narang Suri on behalf of ISOCARP and GAP in the Closing Plenary.